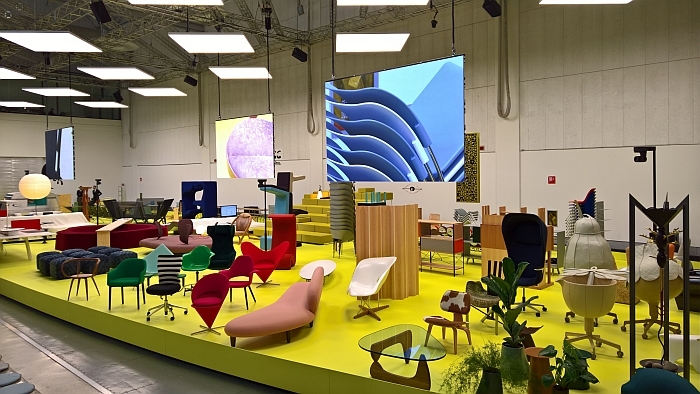 And in doing so don’t just present an image not only of Vitra past, but also take a look into the future…..
At Milan Furniture Fair 2018 Vitra will present their latest product portfolio, a mix of new and established products, wrapped up in a carefully, and expensively, prepared PR and advertising package. 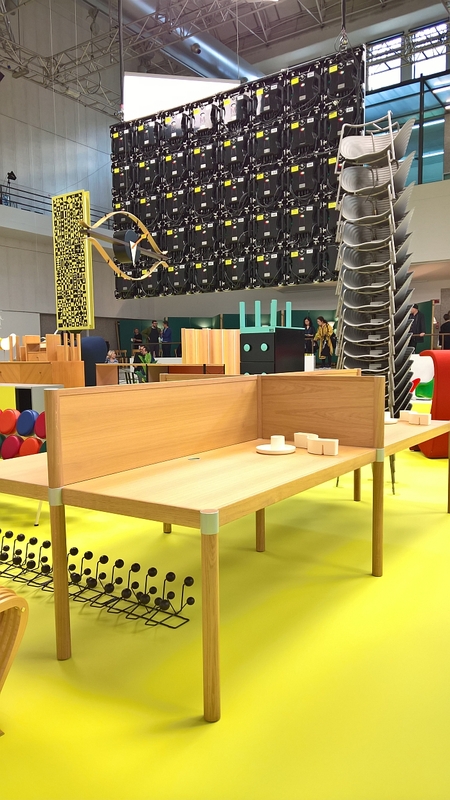 As the most important European furniture fair, it is only logical that Milan is the platform chosen for such a presentation. Yet such a highly polished product portfolio is only part of the story of a furniture company, the rest of the story, the other portfolio, is those discontinued lines, those product developments that never reached maturity and the experimentation and thought processes undertaken on the way to both. A portfolio albeit that generally remains an internal document, a reference tool for the company but something otherwise unseen; with Typecasting Vitra not only bring that other portfolio into the public domain but in dong so invite the public to travel deeper into the Vitra design process. Established in the 1950s and originally responsible for the production and distribution of works by the likes of Charles and Ray Eames or George Nelson under license from US manufacturer Hermann Miller, Vitra began experimenting with the creation of their own products in the 60s, the most famous example being, arguably, the Panton Chair, a work Verner Panton had been working on for several years and with whom he had approached several manufacturers, but which Vitra ultimately brought to series production. 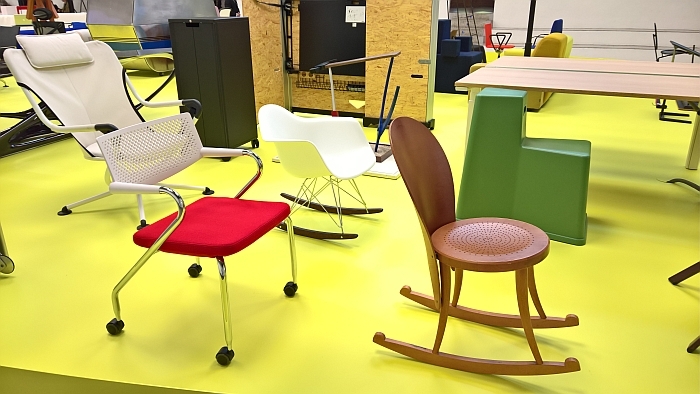 In the 1970s the company moved increasingly, and increasingly successfully, into office furniture: their success in the office market, as with the success in developing the Panton Chair being largely a result of the same approach, the same philosophy, and for all a process of experimentation, listening to, but not being dictated to by, designers and pursing projects until their natural conclusion because one believed in the project. Typecasting documents the nature, and consequences, of the Vitra approach. Curated by Paris based, Austrian designer Robert Stadler Typecasting presents some 200 objects arranged into what the organisers describe as Communities, 9 categories selected to reflect perceived character traits such as “Dreamers”, “Rerstless” or “Communals” identifiable in the furniture, traits which can be considered analogous with human characteristics, and objects ranging from established, endearing Vitra “classics”, over discontinued/never pursued projects and onto freer, more experimental objects: and that not just in a historical context, mixed in amongst objects from 50 years+ of Vitra research one finds current prototypes/work in progresses/experiments. Projects that may well become future discontinued lines, never pursued lines or established, endearing Vitra classics. On our first glance of the display we were greatly reminded of the “overly ambitiously stocked curiosity shop” encountered at the Museum für Gestaltung Zürich, if you will, an overly ambitiously stocked furniture shop; however, as with the Zürich display once your eye adjusts to the presentation format, picking your way through becomes a joy. And a process greatly helped in Milan by the exhibition guide pamphlet which explains what you are looking at and why. For furniture industry hands older than us, Typecasting will be stroll down memory lane; for those only familiar with the Vitra of the glossy advertising and ever expanding Vitra Campus it may come as shock, should however be taken as a starting point for further investigation and exploration; for us it is and was simply the most joyous of collection of disparate objects. 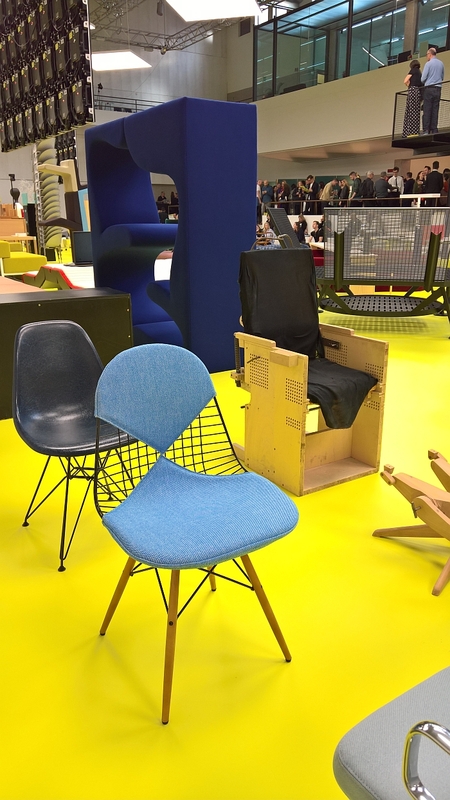 Among the highpoints for us was a prototype of an ergonomic chair which resembles an early model of the American electric chair, the wooden LC93B Lage Stoel by Maarten Van Severen, plus a very welcome wiedersehen with the fold up table and bench set Tabula Rosa by Achim Heine and Uwe Fischer a.k.a Ginbande. A wooden Ergonomic Chair prototype….just make sure it’s not plugged in!!! 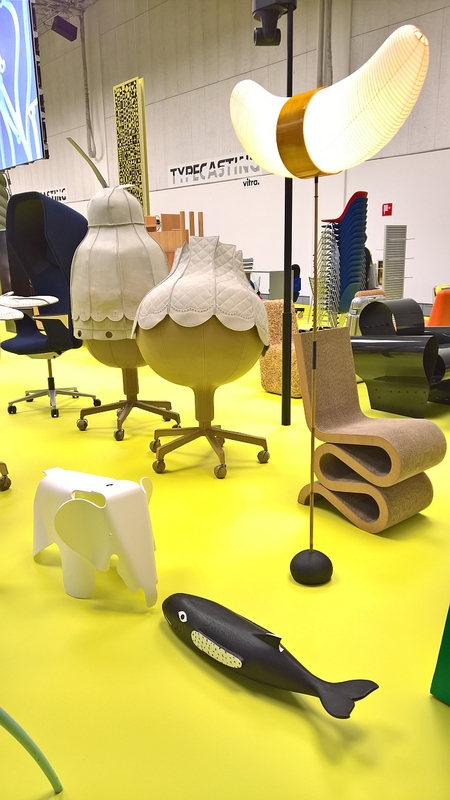 If the Vitra Design Museum Schaudepot is a brisk, entertaining, if highly informative, journey through a century of chair/furniture design, Typecasting is the same for Vitra in a Milan Pop-Up Depot. And much like the Schaudepot Typecasting doesn’t seek to directly educate, explore or investigate: Typecasting is no museal investigation of the product development process at Vitra, is no academic exploration of Vitra, the company’s history, relevance and place in the (hi)story of furniture design, is no critical analysis of the works displayed. But then it doesn’t set out to. 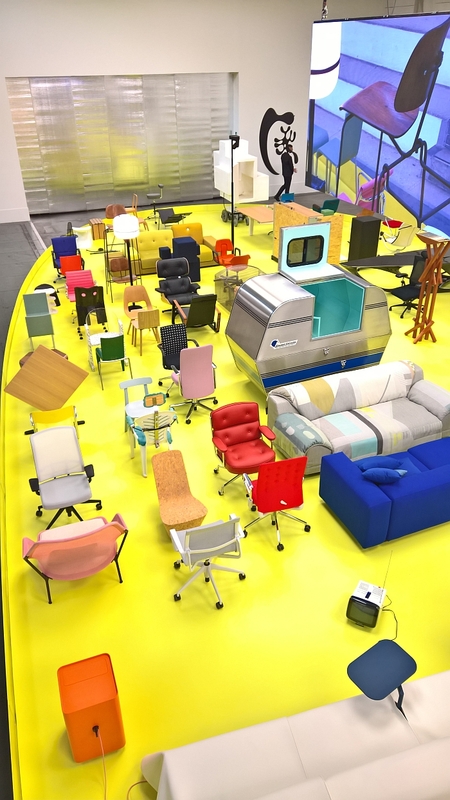 Much more it sets out to visualise and document how Vitra develop their projects, their relationship with designers, their portfolio and ultimately as a company. And that it does with aplomb. An Eames Whale and Eames Elephant in conversation under a horizontal crescent moon… Dreamers!!! 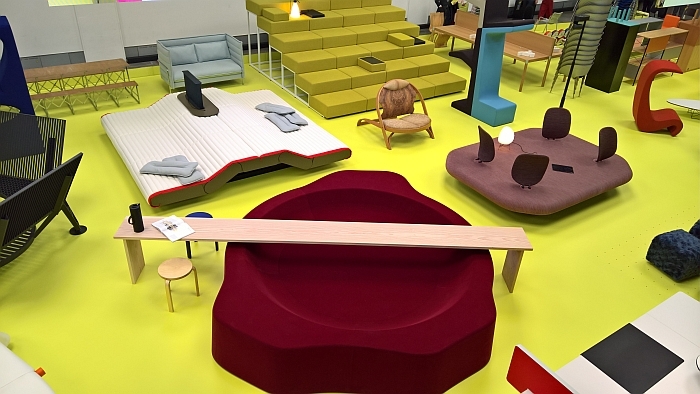 At Milan Furniture Fair 2018 Vitra will present their latest product portfolio, a mix of new and established products wrapped up in a…..
Typecasting provides the contrast to the high gloss and PR of the product portfolio, helps provide a more complete impression of the company, its values, its approach and its understanding of its function and why it moves in the direction it does, attempts the things it does and the wide variety of vry different designers it cooperates with in that process. 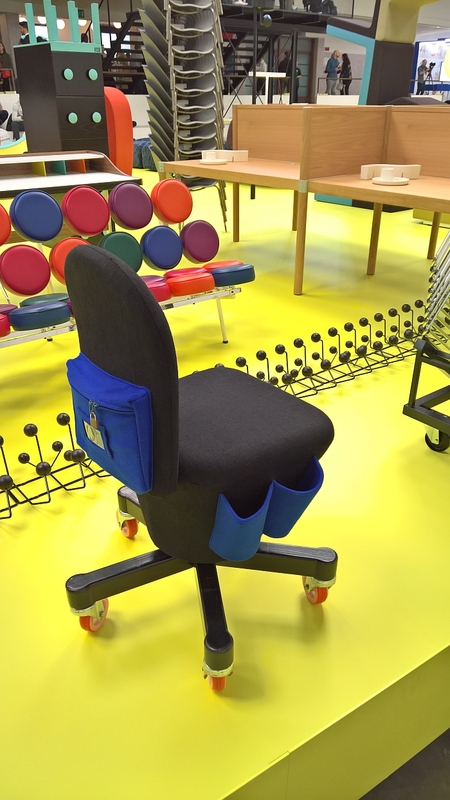 And in doing so also neatly underscores that both the commercial success of the commercial, public, collection and the experimentation and risk taking behind the scenes have played equal roles in the development of Vitra. And as Typecasting makes very clear, both will continue to play equal roles in the future. 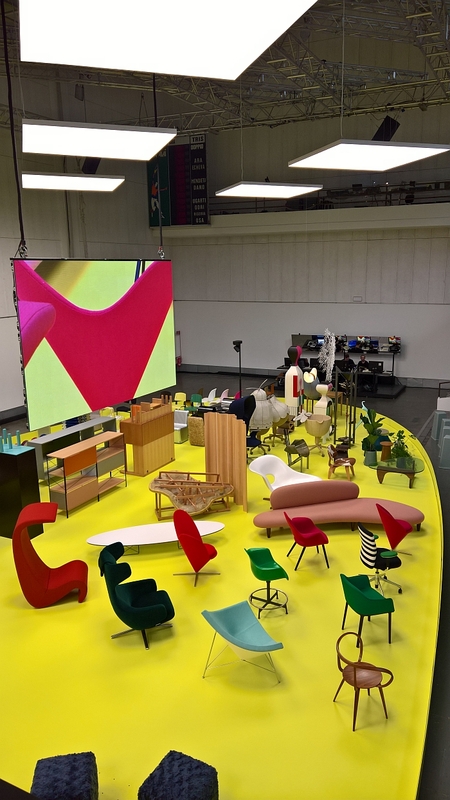 It is therefore most fitting that Vitra have chosen Milan Design Week to present an exhibition of another Vitra Collection. Thee is something perverse about placing the strictly analogue Cyl by Ronan & erwan Bouroullec under the digital monitor wall….